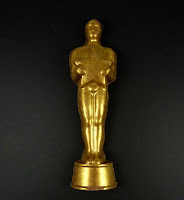 Tonight a group of us watched the annual Academy Awards Ceremony. This event began with watching stars arrive and sashay up the red carpet on their way to an auditorium. And it ended when the last golden Oscar statuette was handed out three or four hours later (depending on when you tuned in). 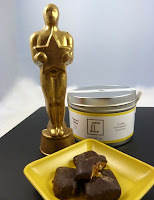 Many chocolates were nominated to star this evening, but we enjoyed tasting small squares of Popcorn Toffee from Poco Dolce (San Francisco, CA); nibbling on the head from a chocolate figurine; and munching on some smoked bacon popcorn. All these items were part of Day #2 of Chocolate and Umami or Bacon Theme Week. 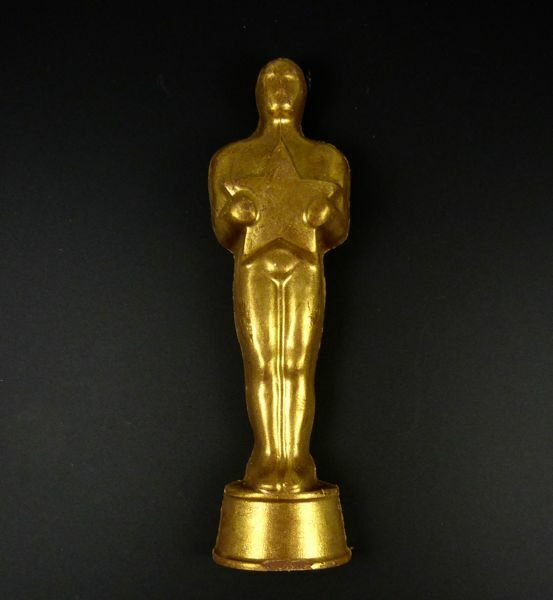 What a delight to have a chocsimile (chocolate facsimile) of the golden man himself (Oscar style statuette) on hand for the ceremonies. Although he did lose his head during the after-party. He was last heard to say: It was an honor just to be nominated. Thank you Megan for this gift! 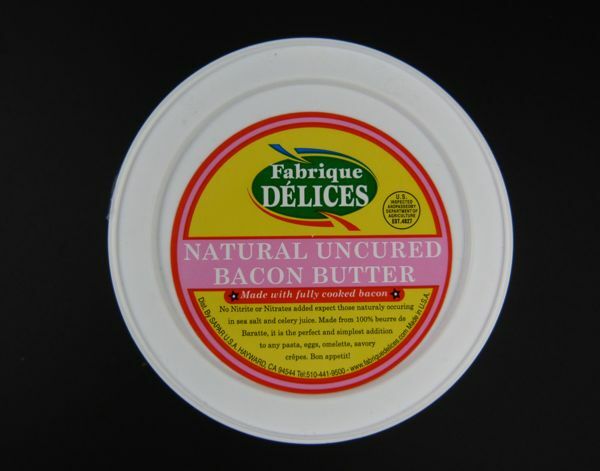 Fabriques Delices (Hayward, CA) natural uncured bacon butter (made with fully cooked bacon) was a hit -- drizzled over freshly popped popcorn. We added a pinch of Alderwood smoked salt to this batch, and we were riding high on the hog. Umami flavors (often called the fifth sense of taste -- and more recently discovered than the first four: sour, sweet, bitter and salty) include fat, smoke and salt. Expect to see this bacon butter and smoked salt in combination with chocolate again, in the next few days.